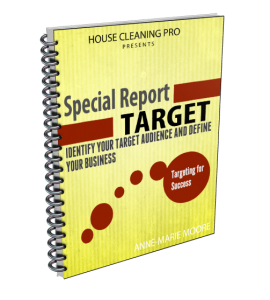 The easiest way to attract customers for your house cleaning business is to give them exactly what they want! You can’t do that unless you identify the customers you want to service and where to find them. Then it’s easy to create your marketing to speak directly to them. This is how you get clients who are willing to pay what you charge. Quickly get your business off the ground or plan to grow your business with one technique many small business owners don’t take the time to implement. The FASTEST Way to Grow Your Business – What Successful Businesses Know!